"It's easier to find a needle in a haystack if the haystack is small," said Jonathan Dowell, a Los Alamos scientist and inventor of the detector. He was referring to the detectors' ability to hone in on an area while eliminating background noise or naturally occurring radiation. On the detectors, directional sensors similar to a beam atop a lighthouse scan through a narrow angle looking for radiation. 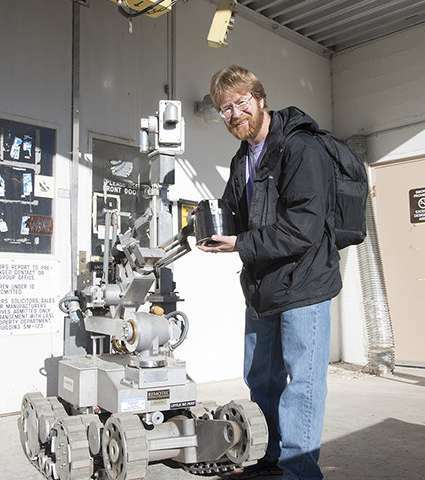 The Laboratory uses the detectors aboard HAZMAT robots for emergency response, as well as to conduct geologic surveys. "The more we can reduce radiation exposure, the better it is for the people doing the work," said Dowell. "Using a robot or automated machines can help." 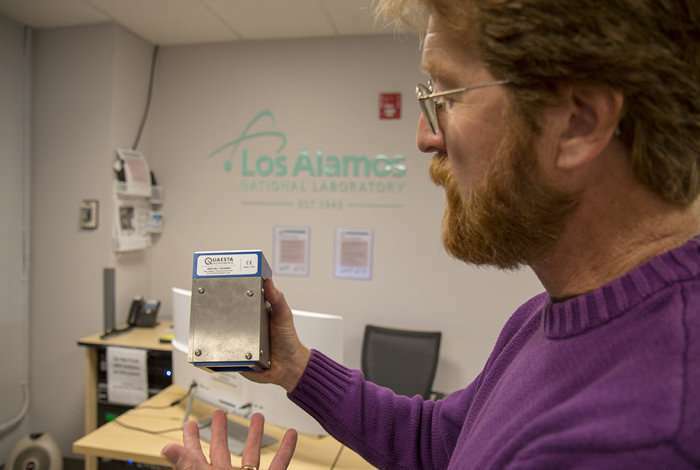 The small radiation detectors, patented by Los Alamos National Laboratory and commercialized by industrial partner Quaesta Instruments, are easy to carry and deploy. "We've taken what used to be the size of a baseball bat and miniaturized it to the size of a jar of peanut butter," said Dowell. In a test later this year, numerous detectors will be deployed using a robot to survey radioactive materials at the Trinity Site. In addition to the historical significance of measuring minute traces of such materials, the survey will also demonstrate the ability to test large areas in a short time while eliminating the need for workers to enter a site. "A detector will be deployed on a robot's arm like a doctor would hold a stethoscope to your chest," said Dowell. "It will reach down into nooks and crannies." The detectors can be used in various applications including locating contaminants at waste sites, conducting inventory, tracking the movement of radioactive materials for national security purposes, and verifying that areas are free of radioactive sources. Industries that can benefit from the technology include universities and hospitals.